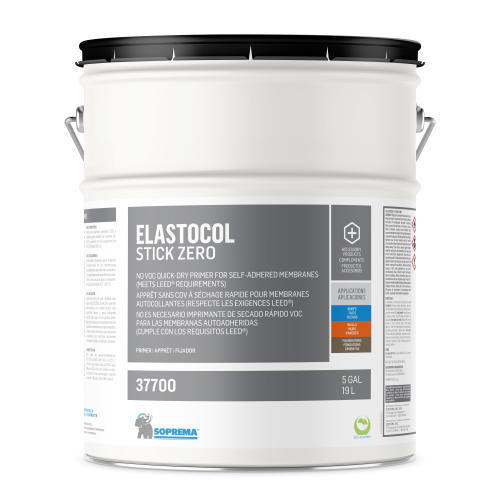 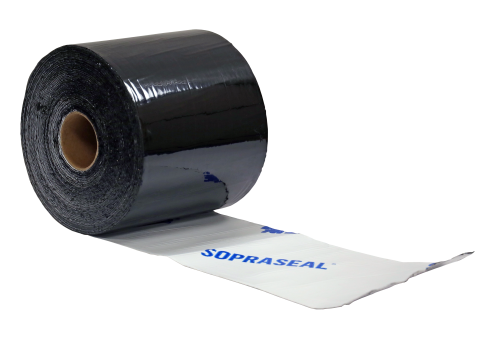 SOPRASEAL STICK 600 TC air/vapour barrier is a self-adhesive membrane composed of SBS modified bitumen and a trilaminated woven polyethylene facer. 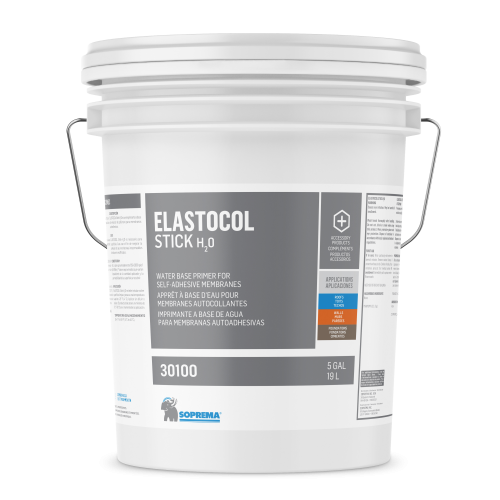 The self-adhesive underface is covered with a silicone release paper. 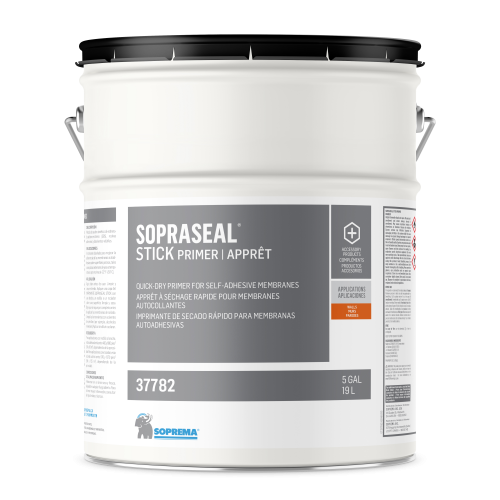 The waterproofing membrane SOPRASEAL STICK 600 TC is used as waterproofing membrane on the panel joints of SOPRA-ISO V, SOPRASEAL XPRESS G and on exterior gypsum covered with glass-mat sheathing.